The future success of event companies comes down to the talent they can attract and retain. It’s important that the people they recruit now are the right people for the future, and not just recruiting them for a vacancy or a role to fill. 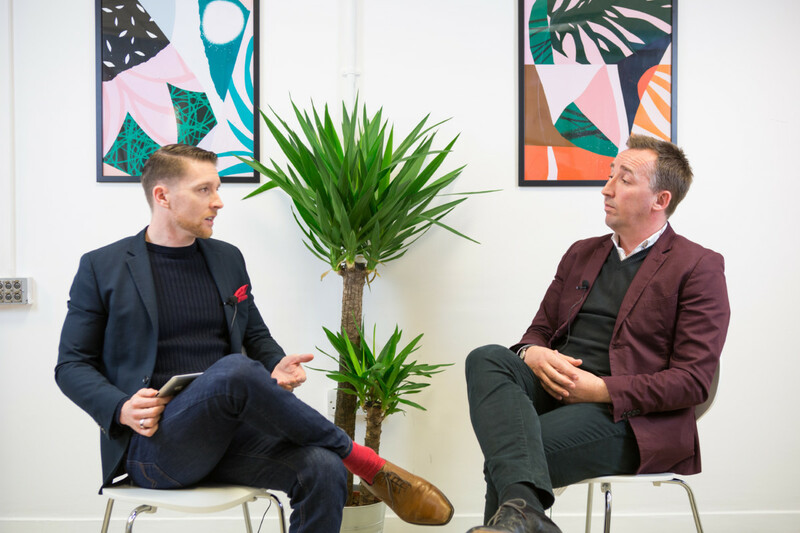 To address this key industry topic we partnered with Future in 15 Show and invited top industry recruiter Robert Kenward, Chief Talent Officer at YOU search & select to discuss the various aspects of event recruitment in the events industry. The innovative event format included an interactive #eventprofstalk Twitter chat and discussion with both the online and live audiences, and followed by Future in 15 Show filming, where Caleb Parker, Show Host, interviewed Robert to develop topics of most interest that were raised during the one hour Twitter chat. The below summarises both the chat and the Future in 15 Show episode about event recruitment. How to attract top industry talent? According to Robert, companies need to recruit before they actually need to recruit and stop the rush for filling a seat. They should rather think what the business needs by having the long term strategy and business growth in mind. The online audience added that there are various ways to recruit staff, including specialist website, recruiters and Word of Mouth (WOM). WOM is an effective way and allows getting ahead of the need with the talent pipeline and recruitment strategy. Though the challenge with WOM recruitment is that it’s never in tune with when and what a company is looking for. It’s necessary to understand not only the current needs, but also the future needs of the company when recruiting. Attracting talent is easy, how can you make sure they’re right long term? The online audience discussed that firstly, it’s employer’s responsibility to create an environment based on mutual growth, by providing ample learning and development opportunities. Furthermore, management also plays an important role. It should be involved from the beginning and inspire the candidates into joining company’s culture and having a clear long-term development path for the employees. Moreover, transparency and establishing trust are key. Candidates should be aware of what is needed from them in the long term and companies need to get their buy-in to walk this path together. It’s not recommended to recruit based on a gut feeling, but instead based on long term plans, goals, requirements and outcomes. Last but not least, it’s recommended to use contracts to determine the professional relationship to set boundaries and expectations. How can you improve retention rates for new starters? Companies should invest in new starters so they can develop their skills set for the industry. Additionally, it’s recommended to establish a feedback environment so employees can share their feedback and career progression, both its positives and negatives, commented the online audience. New starters want direction, so a company culture should be based on progress and mutual trust. If the company can provide that, they’d definitely be willing to stay on. The role of a mentor is also important and plays a major role: someone to learn from, someone who’s looking out for them, help recruits in their future career, etc. Robert added that “mentor” might be the wrong word to refer to it. Agencies usually use the term “work buddies”, and that’s a great way to give a point of contact to new recruits to have someone they can feel comfortable with. Speaking about trends, Robert added that the human element is key here. There is no more a 9am – 5pm job, the office is anywhere and we can work remotely, so that’s also important to keep in mind when recruiting. Elements like personal development, healthy work environment, and supporting, creative, motivated and ambitious team are also important for new starters and their retention. Why does the talent you need join your competitors? There are various reasons! The online audience commented that possibly because the recruits prefer competitor’s brand or have been offered a superior package that is more suitable to their needs, or potentially word of mouth has had an influence. Or it can be simply due to better persuasion skills and the competitor is better in getting talent to think they’re the better fit. The competitors probably understand their strengths well and know how to convey that message. Depending on their research, the competitors probably know employer’s weaknesses too well as well! Furthermore, ownership, as it’s really a key in the events business. Typically it has to be shared between the client, the event manager or agency, the attendees, and even other partners. It’s a good practice to always looking to instil/nurture that sense of ownership while still keeping roles clear. Lastly, and most importantly according to Robert, is the consumer, employer and employee brands. If they aren’t consistent, and the company is concentrating on trying to tell people why they should join rather than explaining how they can help them, the candidates will be likely to join the competitor. Consistent branding creates an identity for the employer and good branding equal credibility. If the employer has an established brand with a good reputation out there, emphasizing on that consumer/employer brand can often be a plus point in convincing talent to join. Companies should use words like “we can offer”, “you can have this” to be attractive. Let’s explore further the triple concept of consumer, employer and employee brands. The consumer brand is usually present on the website with visuals, videos, testimonials etc., for recruits it’s like “it’s a great agency I want to work there”. Employer brand is when interviewing people who recently joined the business and offering potential recruits to get in touch and fill in a form. Employee brand is “I call a friend to ask about this company”. If the three messages are inconsistent and if the agency is not practising what they preach with their candidates, they’ll walk into competitor’s office. The company is not going to attract the right talent because it’s not thinking about what they can offer but what they want and there is a clear disconnect between the three brands: employer, employee and consumer. Work life Balance is a term usually used to address people who want to start their own business or work from home. But now we actually see that people can be more productive when working outside their usual office space, because it’s about being “present” and the actual work they do. Now it’s about what people can give to the business rather than what the business wants from them. Work life balance suggests that people work fix days and hours. That can be for example around childcare timetable when a person can start their job or have a doctor’s appointment and needs to work around getting personal errands. Work life blend, on the other hand, is around person’s career, working perhaps only four days a week and getting done what has to get done. That concept works well with remote working and trust between employer and employee. Therefore, work life blend can be part of the recruitment strategy. Caleb added that what in the past was a barrier between “work life” and “home life” now blends into one lifestyle where barriers are breaking down. That can be due to generational shift or technological. People don’t care how much time they are putting into work if they work from home, if they are getting reciprocation from their employer and work is giving back to them. The blend is what the business needs in terms of the output, and that is not always achieved with a “balance”. Work life blend is suitable for agency roles where they need candidates for a project based work. How can organisations find out what the top talent is looking for and position themselves favourably? According to Robert, the biggest resource is company’s own people. People Metrics is around understanding the core workforce and what turns them on and off. Recruiters can’t obtain the information why others don’t join their company, but they can gather other metrics. They can ask long time employees why did they join the firm, why did they stay, what is about the firm that they really enjoy working for, and whether they would recommend their friends to come and work there. And then do the same with other employees of the firm. This will give an overview of the demographics of the workforce and of top performers, aptitude or attitude assessments of people who do well and enjoy working there. Take these people metrics when you do the recruitment, and then refer to the selection process, and the questions should be around what works for the business. Here Robert brought the term “cultural fitness”. That means recruiting someone who is going to believe in your culture and your values. It’s a candidate driven market but companies can’t hire people who have their own agenda. Cultural fitness is about candidates buying into those beliefs, but also adding to them, giving the business something that it didn’t have before they got there and that can help the business to get to the next level. How to let the potential recruits know about employer’s cultural fitness? That can be communicated via the job advert or when meeting or speaking to them for the first time. By using words like “we need”, “we want”, “you will do” the employer is saying that they don’t have these skills and is looking for someone who does. Recruitment is like dating. When potential candidates come for an interview the employer should ask how they can bring value to the business. Are we approaching the end of the CV yet? No. There is a lot of tech how to apply video interview or Applicant Tracking System (ATS) for initial screening. The CVs are more personal profiled. The CV is as much as used to a client as a job description to a candidate without any background story. A personalised CV is like a pitch to explain why the candidate is the right fit. The CV as it was is dead and now it should be regarded as personal profile and storytelling. The future of recruitment changes. 18 months ago the predication was that there will be no recruiters and all will be online, a year ago we could say automation, six months ago video interviewing, and with GDPR the prediction is that there will be no agencies at all. The future of recruitment changes depending on who needs to sell and what they need to sell. For Robert, the future is for agencies to take care of what they are putting out there and ensure that their message is consistent across all the platforms and every brand touch point. The future is that whenever someone is doing the research about the company they are getting the same message.